Recreation We believe that physical health and well being are interconnected. Town Financials At the Town of Stellarton we are committed to sound financial management. See Our Town Experience Stellarton like you never have. 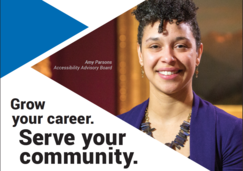 Serving on one of Nova Scotia’s 155 agencies, boards and commissions (ABCs) can help you grow personally and professionally while making a real impact on your community. 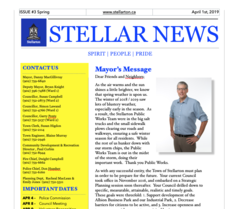 The Spring edition of the Town's quarterly newsletter is available now. This issue gives updates on some keys projects, strategic planning priorities and celebrates our volunteers. 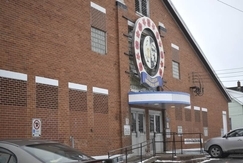 The Stellarton Rink is going through a review process on its future and the costs needed to continue. An engineering firm was asked to come and do an aging building audit that would identify possible threats and help prioritize items for repair or replacment before budgeting.